Most of us admire the Porsche brand for the sports cars that are offered as part of the lineup offered that gives us the drive we want to enjoy at the track or on the road. Unfortunately, these sports cars don’t offer much in the way of practicality. Thankfully, Porsche does offer some excellent SUVs to blend sportiness with the daily features you need. 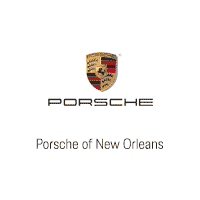 Let the team at Porsche of New Orleans help you have a pre-owned Porsche SUV that has the right pricing for you and the quality drive you want to enjoy near Kenner, LA. 2016 Porsche Macan S – Here’s a small and active SUV that has a lot of power under the hood to let you feel the sporty drive of a Porsche. This impressive model makes it easy for you to enjoy the drive with the certified pre-owned stamp of approval and the quality features that give you what you’re looking for when you head out on the road. 2017 Porsche Macan S – This gorgeous pre-owned Porsche is brought to you with the affordable pricing you want and a look that will make you smile. Check out the black wheels, the Bose surround sound system, and the navigation system offered. Imagine the drive on the roads near Kenner, LA when you get behind the wheel and take a drive. 2016 Porsche Cayenne Turbo – When you want more size in the Porsche SUV that you drive, the Cayenne is the perfect choice for you. Feel the smooth leather, admire the impressive ride, and experience the practical feeling of this amazing vehicle. You’ll be able to enjoy the benefits of this certified pre-owned model for many years when you take it home today. 2018 Porsche Panamera Turbo – While not an SUV, this Porsche is the four-door sedan that also has the heart of a sports car to give you the exciting drive you’re looking for. Plaster everyone to their seats when you choose this model that’s offered with the pricing you want and the ability to tear up the roads near Kenner, LA with you behind the wheel. 2018 Porsche Macan – Get behind the wheel of this impressive SUV and let it become the one that has the drive you’re looking for and the fun you want on the road. You can fit your kids and their gear in this SUV while also enjoying the sportiness that makes this the right SUV for you to have the Porsche name in your driveway. If you’re ready to find the right Porsche with the pricing that makes sense for your drive on the roads near Kenner, LA, you need to see the team at Porsche of New Orleans today. As part of the Ray Brandt Auto Group, you’re going to love what you find when you see this team for the vehicle you want to drive.